What does a Victory Lane Quick Oil Change Franchise Cost? A Simple, Scalable and Successful Business Model! The Victory Lane Winner's Circle has Victory Lane Quick Oil Change in it. They have the experience, training, support, and corporate team to help you cross the finish line of becoming a business owner. You don't need to be a mechanic to be a winning Victory Lane franchise owner offering a variety of oil changes and a menu of preventative maintenance services. You just need a willingness to follow a very successful road map on how to manage and grow a quick oil change business. Victory Lane Quick Oil Change is your entrance into a rock-solid and recession-proof industry. Every car owner needs to change their oil and filter – and only 13% of American’s change it themselves. The average household has 2 cars in the driveway and each of these cars needs its oil changed an average of 3.7 times a year, according to the Automotive Oil Change Association. This means that there is great demand for a high quality service offering the best in premium products and utilizing the latest technology. Could you be the next Victory Lane Quick Oil Change franchisee they are looking for? Here Are 7 Reasons WHY! Most people are not aware that VICTORY LANE is a ‘NEW’ 37-year old franchise company. That’s right! VICTORY LANE is under ‘NEW OWNERSHIP’. In the summer of 2014, Justin and Lauren Cialella, VICTORY LANE’s largest multi-unit franchisee with 10 units, bought out the original founders and owners of VICTORY LANE. In the QOC industry, the majority of franchise companies are owned by BIG OIL companies or large corporations. You can guess when they make big decisions, where their allegiance lies. Not many franchisors can say they are owned by a former franchisee. At VICTORY LANE, we look out for our franchise owners, because we are still in the business as franchise owners (technically they are called company-owned stores). VICTORY LANE operates 12 company-owned locations. 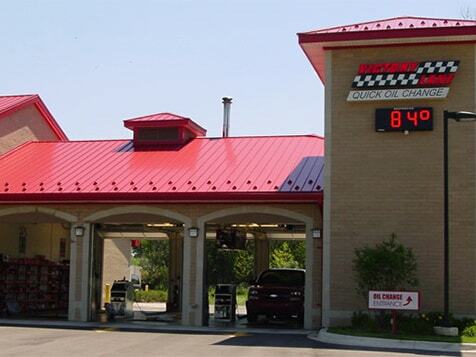 We are a true quick oil change franchise. We keep things simple for our franchise owners and great for our customers. 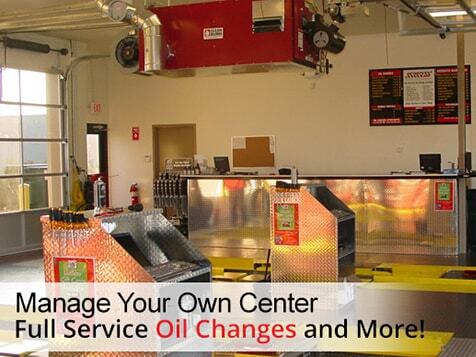 We are experts in QUICK OIL CHANGES and PREVENTATIVE MAINTENANCE. We do the basics like; flushes, fills, replacement parts, and leave the costly and time-consuming repairs for others. Our franchisees love the low stress and low headache business model. One of the ways VICTORY LANE is building brand awareness and offering their customers premium products, is by having a full array of private-label replenishing fluids called VL PERFORMANCE PRODUCTS. Franchisees benefit immensely from this new supply source for simplicity and savings that improves their profit margins. When it comes to helping our franchisee’s with location and space, we offer a lot of options. We explore and analyze multiple building options, modular construction methods, and offer state-of-the-art environmental choices like zip-pit technology. Most of these options save our owners time and money during the start-up phase. For our ‘brand builder’ owners that want to develop multiple locations or an area development, we offer a very attractive discounted franchise fee program. You don't need to be an automobile mechanic to own and operate a Victory Lane Quick Oil Change franchise. And, our franchisees don't need to change their customers' oil either. Your success as a Victory Lane franchise owner is in properly managing and growing your business. At Victory Lane we teach you everything you need to know in order to run a successful quick oil change franchise. If you qualify and are invited to our Discovery Day, you will get a first hand look at our company-store operations. You will also have the opportunity to view the ongoing support that we provide to our franchise network to help you run a well-managed quick oil change center. Our winning combination of people, technology, industry knowledge, and proven business systems will help you maximize your profit and reach your business potential sooner rather than later.